The Supreme Court will on April 10 hear a plea challenging the validity of the Centre's decision on issuance of electoral bonds for political funding. 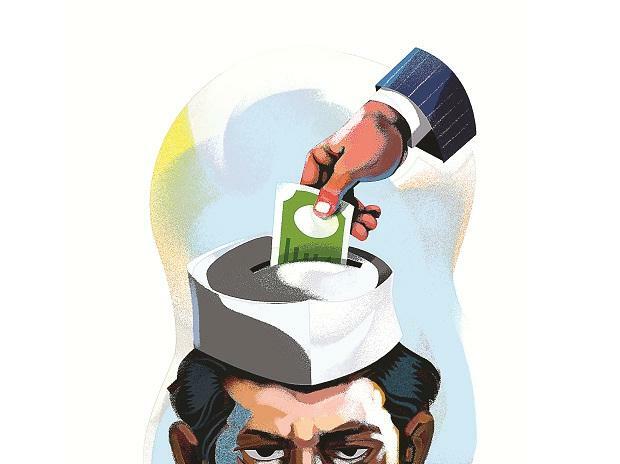 Several NGOs, Opposition parties, and even the Election Commission of India have raised concerns over the use of electoral bonds, which is a bearer Banking Instrument to be used for funding eligible political parties. Association for Democratic Reforms (ADR) recently filed an application in the court seeking a stay on the Electoral Bond Scheme. It said that amendments carried out in the relevant Acts have "opened the floodgates to unlimited corporate donations to political parties and anonymous financing by Indian as well as foreign companies, which can have serious repercussions on the Indian democracy". ADR's findings reveal that the scheme brought a windfall for the ruling BJP. According to audit reports and income tax reports submitted by parties to the Election Commission, the BJP has been the biggest beneficiary of electoral bonds, garnering 94.5% of the bonds worth around Rs 210 crore. Opposition parties like Congress, Trinamool Congress and CPI(M) are opposed to electoral bonds, alleging that it would benefit only the ruling BJP. In an RTI response to Pune-based Vihar Durve, SBI said in 2018 it had sold bonds worth Rs 1056.73 crore in March, April, May, July, October, November. In January and March 2019 the bank sold Electoral Bonds worth Rs 1716.05 crore, the response said. The sale shows an increase of 62 per cent from those sold during 2018. The BJP’s audit and income tax reports submitted to the Election Commission of India list voluntary contribution of “Rs 210,00,02,000 through electoral bonds." Electoral bonds worth a total of Rs 222 crore were issued in the maiden tranche of the scheme in March 2018. ADR's report shows of the Rs 215 crore generated through the banking instruments in 2017-18, the ruling party secured Rs 210 crore and the opposition Congress Rs 5 crore. ADR's report shows funding through electoral bonds is skewed heavily towards national parties, with the BJP walking away with the lion's share. The fund flows through electoral bonds have left regional political groups alarmed. "The root of all corruption in India is the nexus between unaccounted money and politics," remarked JD(U) spokesman Pavan Varma. "Electoral bonds were introduced as a reform ideally to break up this nexus. But the biggest beneficiary of the scheme is the ruling party. If it's a question of a level playing field, what happens to regional parties like us then?" he asked. BJP has billed electoral bonds scheme as an innovative mechanism to track cash flows in poll campaign. Finance Minister Arun Jaitley defended the electoral bond scheme saying if donors are forced to disclose their names, the system of political funding through cash and black money will return. "If you ask people to disclose that (identity of a donor) also, then I am afraid the cash system will be back," he said, adding people find fault with the scheme but not come up with any alternative to check the use of black money in the electoral process. Last year, Jaitley told the Parliament that, "electoral bond scheme will involve clean money and a substantial significant amount of transparency as against the present system of unclean money and no transparency". Donors of amounts below Rs 20,000 are allowed to be kept hidden legally. Modi government's electoral bond scheme allows even large-scale anonymous donations. As a result, more than half of all the income of national parties in India is derived from unknown sources. According to ADR, 51% of all unknowns funds were donations below Rs 20,000 and as much as 31% were made using electoral bonds to political parties. That electoral bonds allow large-scale anonymous donations to parties is seen to be a significant step back in setting up a transparent system of political funding. On Saturday, former Chief Election Commissioner Navin Chawla pointed out that the electoral bond scheme has actually emerged as a “greater method of camouflage” when it came to the use of black money in politics. Electoral bonds have been available since January 2018. Their impact was immediate, pushing up the share of income of national parties for 2017-’18 (even though the bonds had been available for only three months of that financial year), said an ADR report. The bonds will be issued in multiples of Rs 1,000, Rs 10,000, Rs 1 lakh, Rs 10 lakh and Rs 1 crore and will be available at specified branches of State Bank of India. They can be bought by the donor with a KYC-compliant account. Donors can donate the bonds to their party of choice, which can then be cashed in via the party's verified account within 15 days.